Northside Christian College offers a tutoring program for Primary School students two days per week. This innovative program is designed to provide an opportunity for Senior School students (Years 10 – 12) to tutor our Primary School students. The tutoring program was inspired by the 2015 Year 12 College Captain, Janice Timotious. In partnership with the Director of Primary School, the Senior Tutoring Program at Northside commenced with only a handful of students. Since 2016, both the number of tutors and tutees have increased to a room filled with students on both days; Monday and Thursday. This service is provided mainly to support Primary School students with their homework. Senior Tutors who have been carefully selected for the program. Tutors need to be committed to their own academic goals and be a positive role model for the students who need tutoring. Senior Tutors are mentored and guided with how they are to tutor their tutees, and they are encouraged to build a relationship of trust by displaying patience and persistence when working with their tutees. 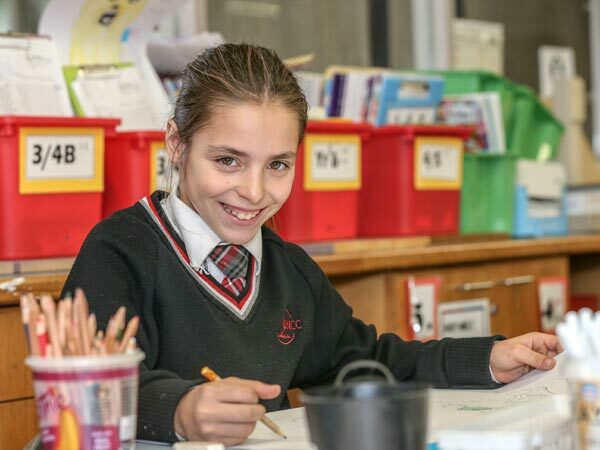 The program has been running smoothly and there is great interaction on between the Senior School students and the younger Primary School students as the lessons have been open and engaging, creating a friendly academic atmosphere. This is a paid service by parents to the Senior Tutors who take time after school to tutor the students. The cost is $120 per term, with an hour of tutoring a week, for a total of 8 weeks each term. If you are interested in having your child tutored by a Senior School student, please fill out a form at the College Office. For more information, please contact the College at www.ncc.vic.edu.au or phone 03 9467 2499.